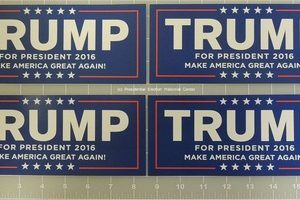 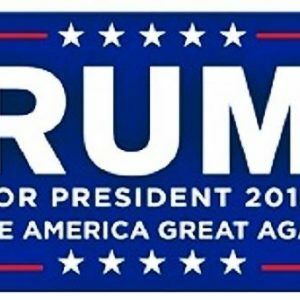 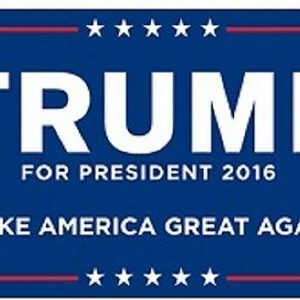 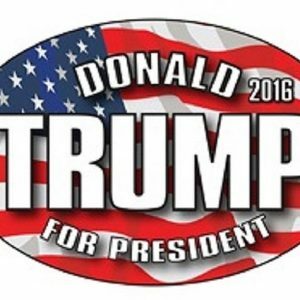 Donald Trump bumper stickers are a great inexpensive way to support your candidate, have a historical item, and make great investments as well. 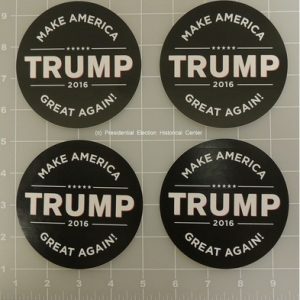 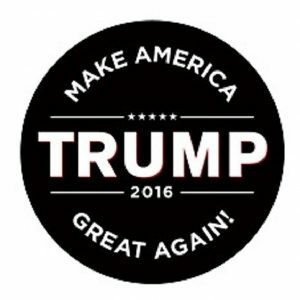 Whenever you purchase a bumper sticker or campaign button during the time the candidate is running for president, the item becomes part of history. 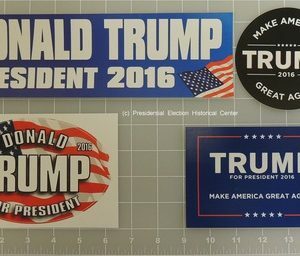 After the presidential election is over, the bumper stickers and campaign buttons are no longer made. 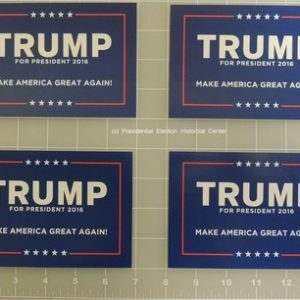 They almost immediately increase in value and in years to come, people will seek out previous campaign items to collect and resell. 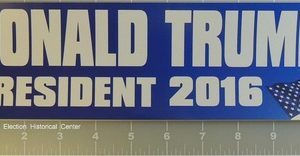 This is a great way to support your candidate, own a part of history, and make a great investment at the same time. 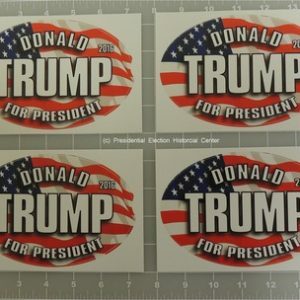 You can buy 1 to proudly support your candidate, you can purchase 10 to give to your friends, or you can buy 1,000 and make an investment by getting them at an incredible price. 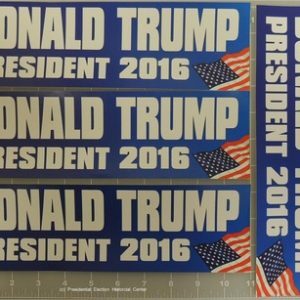 Presidential Election bumper stickers always increase in value so it is not only fun to collect, it is a great investment as well!